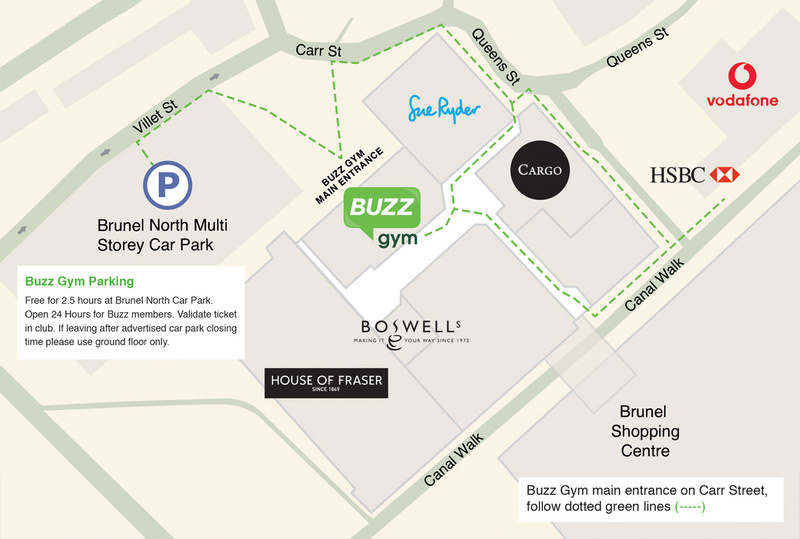 FREE PARKING – Buzz Gym offers 24/7 free parking for members. Parking is a minutes walk away as indicated on the map below. Parking is limited to 2.5 hours maximum. Buzz Gym, Brunel Plaza, Swindon, SN1 1LF.